Children in schools and libraries across sub-Saharan Africa can now enjoy thousands of Penguin Random House e-book classics. "Our global partnership with Worldreader will enable us to bring our authors’ books to even more readers in more places around the world, where the traditional book market doesn’t exist." --Markus Dohle, CEO, Penguin Random House. 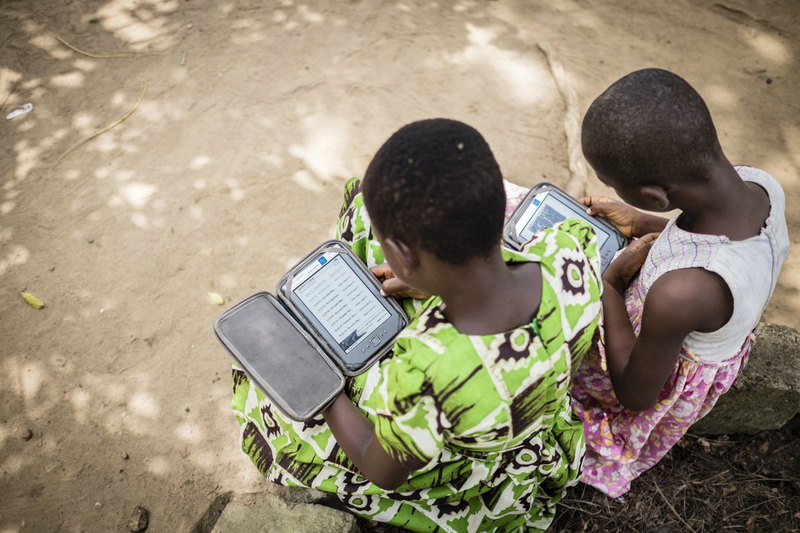 Worldreader (http://www.worldreader.org), the global and innovative non-profit that uses technology to bring digital books to every child and their family, today announced a deeper partnership with trade-book publisher Penguin Random House that includes additional title donations and the development of an annual Author Ambassador program. With its generous donation of hundreds of e-book titles, Penguin Random House has officially become Worldreader’s largest publishing partner. Among the popular titles newly donated are the complete library of The Magic Tree House series by Mary Pope Osborne; select titles in The Berenstain Bears series; the A-Z series; and the Step into Reading series; and William Kamkwamba’s internationally acclaimed story, The Boy Who Harnessed the Wind. The titles contributed by Penguin Random House will be deployed on e-readers in schools and libraries across eleven sub-Saharan African countries. To date, Worldreader has impacted 2.6 million people with digital books via mobile phones and e-readers-- in sub-Saharan Africa alone, 52,000 children and their families have benefitted from Worldreader’s e-reading programs in schools and libraries. Worldreader’s rapidly scaling capacity is an effective and inexpensive way to distribute books to those in limited and no-access areas and, less than five months into a Worldreader e-reading program, children show significant improvements in fluency and comprehension. In addition to title donations like those from Penguin Random House, Worldreader also actively curates books by African authors for their digital library, helping African publishers translate and digitize their titles and expand their audiences. In a further sign of their commitment to nurturing a universal passion for reading and connecting the best books for all ages to the widest readership possible, Penguin Random House will also collaborate with Worldreader on an annual Author Ambassador program. In fall 2015, a globally recognized Penguin Random House children’s author whose e-books have been donated to Worldreader will visit a school to read, teach and interact with students at an e-reader program in Africa. This initiative will give children in the developing world a rare opportunity to interact directly with a beloved and internationally bestselling author, and to experience firsthand how transformative literacy can be. "Our global partnership with Worldreader will enable us to bring our authors’ books to even more readers in more places around the world, where the traditional book market doesn’t exist," said Markus Dohle, CEO, Penguin Random House. Joining in this important initiative will help us to fulfill our mission of fostering a universal passion for reading and making a meaningful difference with our books worldwide." With nearly 250 independent imprints and brands on five continents, more than 15,000 new titles and close to 800 million print, audio and e-books sold annually, Penguin Random House is the world’s leading trade book publisher. The company, which employs about 12,500 people globally, was formed on July 1, 2013 by Bertelsmann and Pearson, which own 53 percent and 47 percent, respectively. Penguin Random House is committed to publishing adult and children’s fiction and nonfiction print editions, and is a pioneer in digital publishing. Its book brands include storied imprints such as Doubleday, Viking and Alfred A. Knopf (United States); Ebury, Hamish Hamilton and Jonathan Cape (UK); Plaza & Janés and Alfaguara (Spain); and Sudamericana (Argentina); as well as the international imprint DK. Penguin Random House publishes more than 60 Nobel Prize laureates and hundreds of the world’s most widely read authors. Children in Worldreader's e-reader programs can now enjoy thousands of Penguin Random House classics.Penguin Random House has donated e-book titles to literacy charity Worldreader.